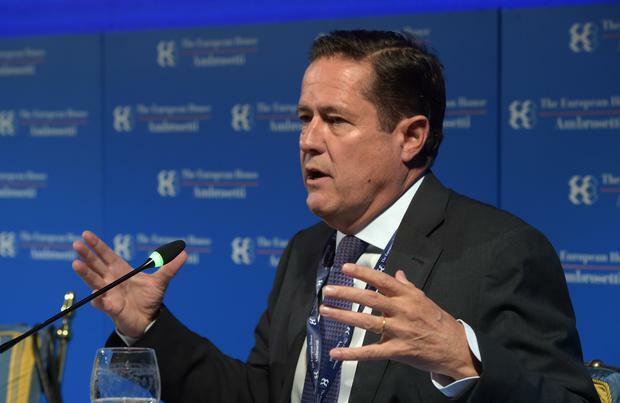 Chalk up a strong quarter for Jes Staley, but a murky outlook means he may not be out of the woods with Barclays's activist investor. Second-quarter trading revenue at the British bank's securities unit, the centrepiece of its chief executive officer's strategy, grew 11pc, compared with the average 9.5pc pace achieved by US banks. That prompted Mr Staley to say Barclays is "running free" after many quarters of being hobbled by legacy misconduct charges. Still, Barclays warned of low market volatility in July, which could dampen investment-bank revenues, and "some margin pressure" at its UK businesses. Revenue at the lender has sputtered since Mr Staley took the helm in 2015, adding to pressure from regulatory probes and activist investor Edward Bramson, who reportedly wants to alter the bank's plans.